Multi-Professional Co-operative Housing Scheme is an institution for promoting investment in real estate and developing housing schemes of a high standard. It is a joint platform of Buyers and Sellers to eventually benefit from the dividends of their transparent deals. The progressive growth of membership motivated Multi-Professional Co-operative Housing Scheme(MPCH) to launch the project of Multi Gardens Sector B-17. It is area wise the largest scheme of the Society with masterpiece layout planning. 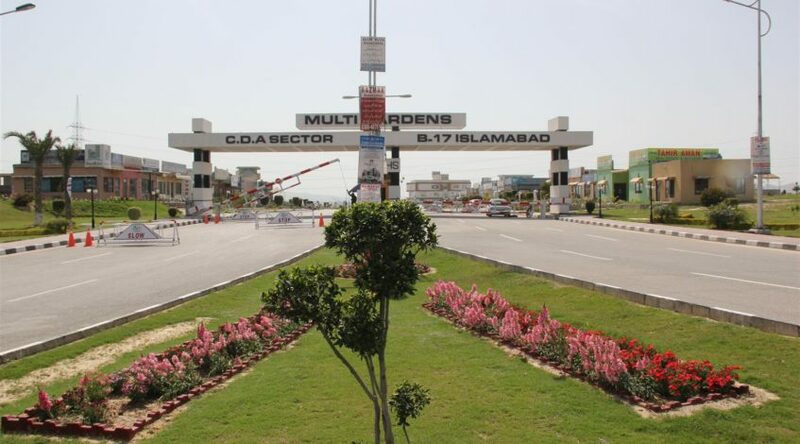 This sector is a gateway to Islamabad from upcountry including Afghanistan, Central Asia, and China through Margalla Avenue. The sector has inbuilt modern amenities of a comfortable lifestyle. All living facilities and amenities including basic utilities, schools, masjid, parks and shopping areas are available in Multi Gardens B-17. And it is well developed and well-populated society. Convenient access to the society will be provided through Motorway interchange and the under-construction Margalla Road. The close access to the Islamabad International Airport makes this housing scheme an ideal living address in Islamabad. Currently, prices are not appreciating at the same pace as they were during the first three-quarters of the year. However, the buying and selling activity and the interest of investors has remained at a peak level. Balloting for MPCHS has usually been held after two installments. The same is expected for Block G. The second installment is due in January 2019. So balloting and map are expected around late January or February. And that is when we can also expect significant development there. Meanwhile, the situation remains the same as before in Block D. But in Block F, a significant amount of development has taken place. In fact, it is is more than 90% completed and the roads are currently being carpeted. In terms of investment, almost all of the blocks in Multi-Gardens B-17 can be considered. However, the newer blocks would be more suitable. Depending on your budget, you can consider Block G where prices are quite low and the plots still have a substantial number of installments remaining, so it will be much more affordable. If your budget is higher, there are other options including Block F, where the plots still have installments remaining and possession is available in a large part of the block. Other options to consider include Blocks D and E as well, where the prices are expected to increase in the future.